A Strong Trucking Department is Critical to Success! 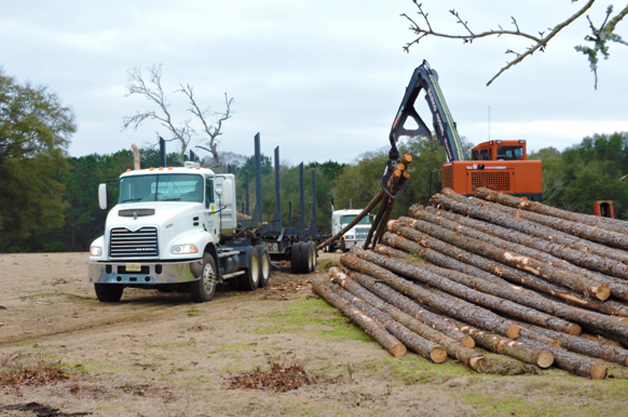 Choctaw Land & Timber has that Covered! 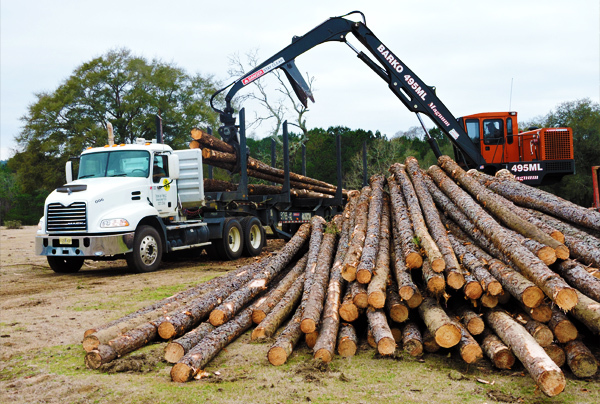 Choctaw Land & Timber has a large fleet of company owned trucks as well as various dedicated contract trucks. Having such a large reliable trucking force guarantees dependability. This type of consistent, steady production ensures that jobs are completed correctly and in a timely manner. 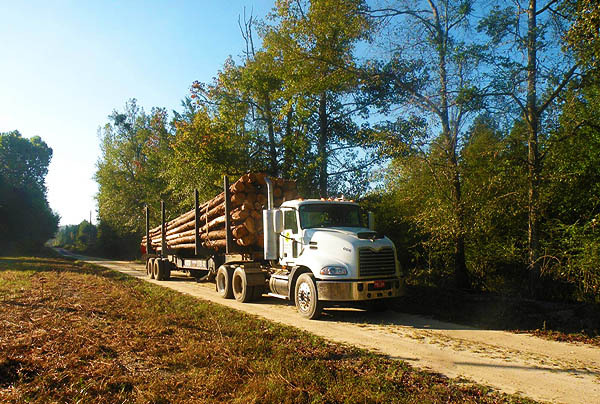 Choctaw’s trucking department gives us an edge over our competitors because we are able to haul wood long distances to various mills and outlets that many other companies do not have the capability to do so. 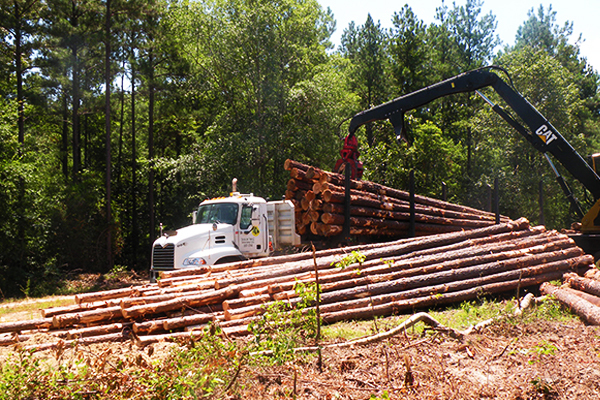 Choctaw Land & Timber has the resources to haul products to any mill, anywhere. 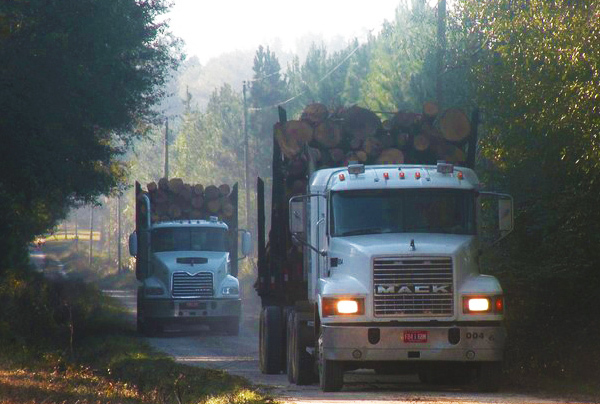 We can haul various products separate as well as haul individual species and products to a variety of destinations. This ensures that Choctaw’s landowners will receive top dollar for their products. 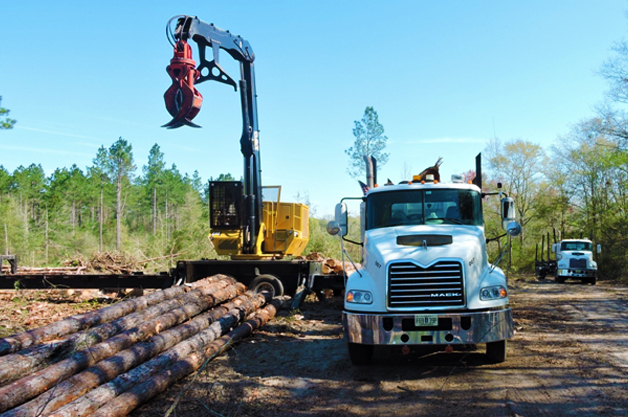 This is one of the many benefits you will receive when working with Choctaw Land & Timber! Pairing Products with the Right Mill Ensures Top Value for our Landowners!